Virginians are headed to the polls this Tuesday to help choose the Republican and Democratic nominees for president. Virginia's just one of a dozen states heading to the polls on Super Tuesday. What Time Are the Polls Open? 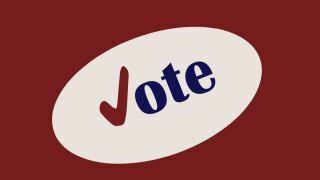 Polls open at 6 a.m. and close at 7 p.m. on Tuesday, March 1. You find your polling place online here. Virginia is an open state, meaning all registered voters can choose to vote in either the Republican or Democratic primary. Yes. Acceptable forms of photo identification include a driver's license from the Virginia DMV, a U.S. passport, a student photo ID from a college or university in Virginia, or a government-issued photo ID, including a veteran's ID card from the Virginia DMV. There are also a few more forms of acceptable ID; see them all online here. If you're a registered voter who forgets to bring photo ID, you can cast a provisional ballot. You'll then have until noon on the Friday after the primary to bring a copy of your photo ID to the voter registration office in which your ballot was cast. What If My ID Is Expired? Go to your nearest Voter Registration Office (see a PDF of locations here) and apply for a free Virginia Voter Photo ID Card. You can apply for this card throughout the year from any local voter registration office, including on Election Day. No. You may have heard that the Republican Party of Virginia initially wanted voters in its primary to sign a form stating they were Republicans. However, the party backed off the pledge after a public outcry, as well as criticism from GOP front-runner Donald Trump and his supporters. What If I'm a Voter With Special Needs? Federal and state laws mandate that all polling places must be fully accessible to senior citizens and voters with disabilities. Curbside voting is also available for those who are older than 65 or who has a physical disability. Every polling place in Virginia must be equipped with at least one accessible voting system that will allow voters with disabilities to vote privately and independently. However, anyone who needs help will receive it upon request. Find more information here. Because the ballots for Virginia's primary were printed weeks ago, they actually list several candidates on them who are no longer running.